Grace, Peace and Mercy be unto you from God our Father and from our Lord Jesus Christ. It is with great humility that we take this opportunity to greet you. Our hearts are rejoicing with great expectation at the gathering of the saints during our Holy Convocation. The Convocation will be held October 10th thru October 13, 2019. 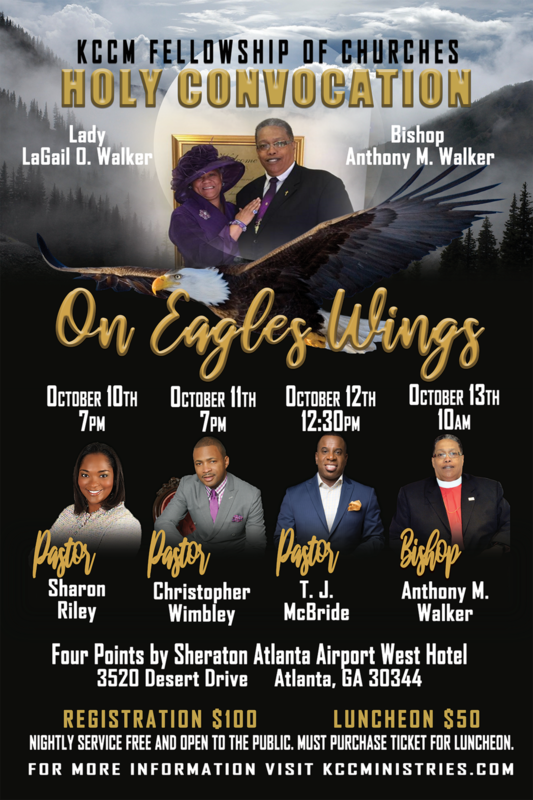 All events for this years convocation will be held at the Four Points by Sheraton Atlanta West Hotel, located at; 3520 North Desert Drive, Atlanta, Ga 30344. Phone 404-768-3100. Evening services will begin promptly at 7:00pm, preceded by Intercessory Prayer at 6:30pm. The theme for this years Holy Convocation is “On Eagle’s Wings", Exodus 19:4. 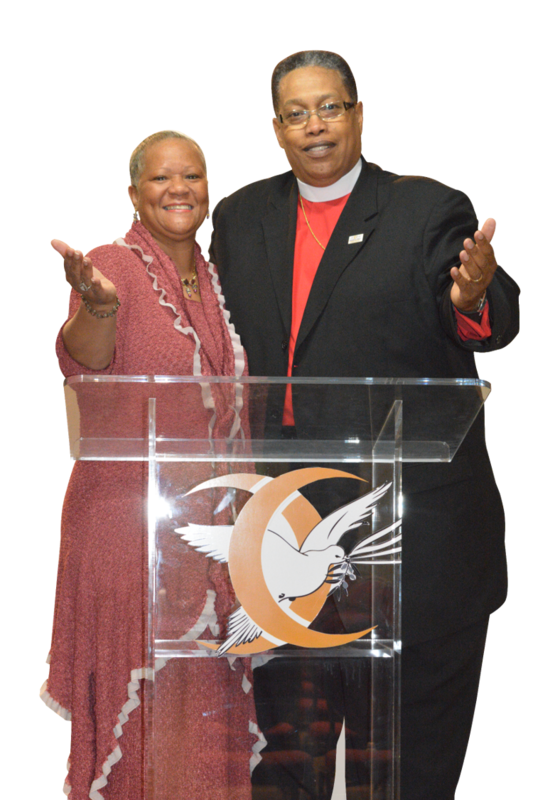 We are gearing up for Convocation anticipation of restoration, rejuvenation and revival. As we are preparing for a strong outpouring of God’s favor and anointing during the convocation, we invite you to make plans now to attend this awesome event. We have prepared seminars in addition to the evening services that are catered to build and strengthen you both naturally and spiritually. Join our Presiding Prelate, Bishop Anthony M. Walker, and the Kingdom Of Christ Church Ministries Fellowship Of Churches family for an unforgettable week. 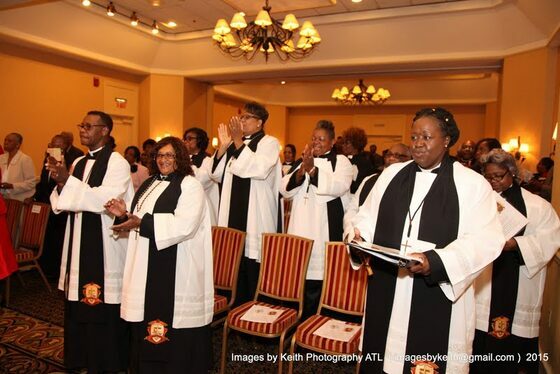 We are asking that all members of the fellowship churches register for Holy Convocation 2019. Nightly Services are FREE and OPEN TO The PUBLIC. You do not have to be part of our fellowship to worship with us.